As part of its annual Black Tag event, Currys PC World is slashing prices on tech products online and in store. To save you time, we’ve waded through the Currys PC World Black Friday deals to pick out some of the offers worth a closer look – and we’ll be updating this article throughout the week. Our picks are backed by our own rigorous product reviews that sort brilliant Best Buys from dreaded Don’t Buys. Keep scrolling for more deals covering large-screen TVs, smart hubs, headphones and more. Which? Black Friday hub – insider tips to help you shop smart. 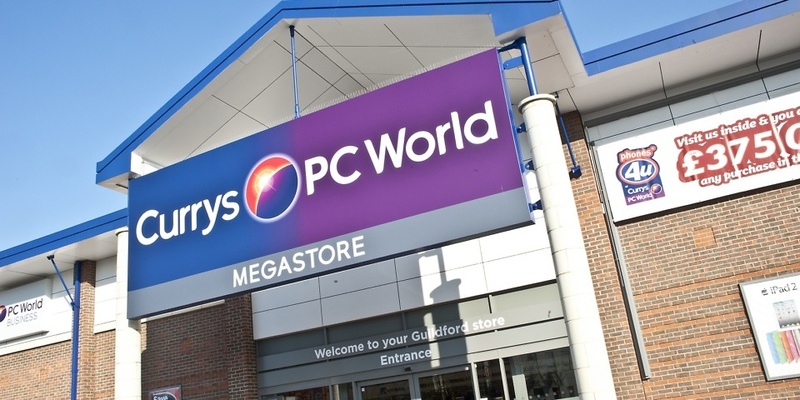 At the time of writing, there are more than 1,000 product deals listed online through Currys PC World. The majority of its offers will be revealed on Friday 23 November, but it has been dropping new deals this week to build some hype. It’s also offering a ‘Price Promise’: it will either price match before you buy or give a price-match refund within seven days of your purchase. Our pricing graphic below highlights a handful of notable Currys PC World Black Tag Event offers. Keep scrolling for more details on each product and links to our full reviews. Tired of waiting for a price drop? Our price tracking and prediction across 25 product categories can help you find the best time to buy. See our guide on how to use Which? Price Predictor for more details. 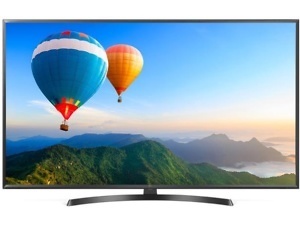 Black Friday is generally a good time to shop around for a new TV. We’ve seen that the majority of new TVs launch between April and June, typically being treated to a price drop around Black Friday and Christmas sales. When picking your new TV, you’ll want a proven Best Buy with a dazzling screen and top-notch sound quality. We’ve highlighted some discounted TVs below, along with TV streaming devices, but remember to consult our reviews to see how they scored in our lab. With £170 off, this TV is worth a closer look. Check out our review to see how it fared in all areas of our rigorous test, but it’s certainly a good choice if you’re looking for a large-screened TV without the heavy price tag. 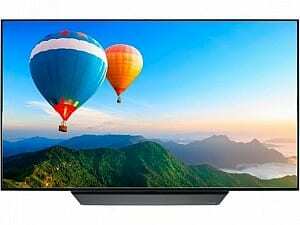 This TV has fallen quickly in price since it launched in June 2018. It started at £2,499 but it’s dropped at various points since then, with the cheapest deal being offered for this Currys PC World sale. See if this 55-inch OLED TV is even worth the sale price in our expert lab review. This product only launched at the end of September 2018. 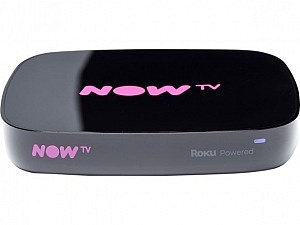 It’s half its usual price at £24.99 and is currently the cheapest 4K streaming device on the market. See how Now TV’s 4K Smart Box fared in our recent expert lab test. 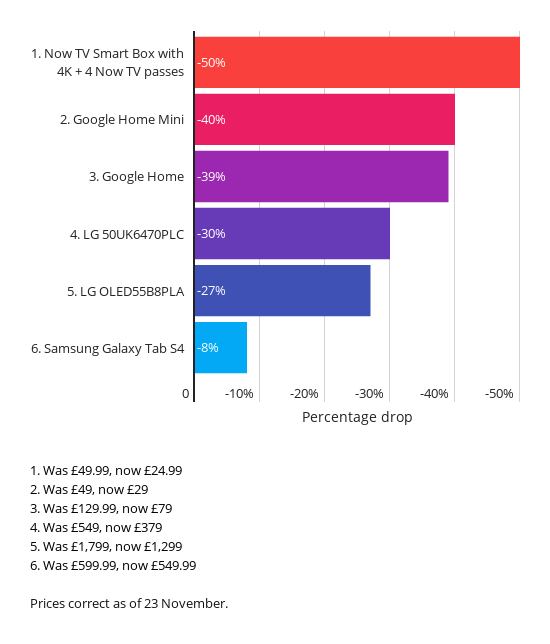 We rigorously test hundreds of tablets and computers throughout the year – from usability to battery life – to highlight the Best Buys and the ones to avoid. And because PC World is part of the Dixons Carphone group, which own Currys, you’re bound to be overwhelmed by its abundance of Black Friday computer deals. Here we give you a shortlist of the ones to consider. 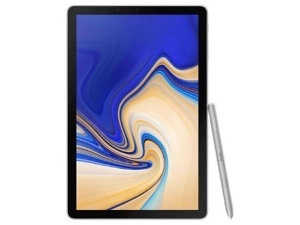 The Samsung Galaxy Tab S4 was only launched in August 2018 and we were impressed with how it performed. You can now get £50 off during the Black Friday period – but is it the right tablet for you? See our full review. The best wireless and Bluetooth speakers we’ve tested create crystal clear sound and they’re a breeze to use. While more expensive options are designed to stay at home, other Bluetooth speakers are small enough to tuck neatly into a backpack and survive a trip outside. But if you want a speaker that can also control other internet-enabled devices, such as TV streaming sticks or smart lights, a smart speaker – or smart hub – is the way to go. Amazon, Google and Apple are all competing for the title of ‘best smart speaker’, and our reviews reveal which models we highly recommended. You can get £20 off the Google Home Mini, making it the cheapest price we’ve seen since its launch. It’s the smaller sibling of the Google Home – but does spending more mean you’re getting bigger and better? Check out our full review. Get £50 off the Google Home smart hub, which launched early in 2017. 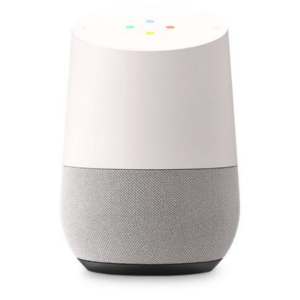 Ask it questions to get real-time answers from Google, control smart products in your home and play and control music from services such as Spotify. See our test results to find out whether these features live up to expectations. Using our own extensive pricing research and expert product reviews, we’ve put together a handy guide to help you make sense of the Black Friday sales. Don’t be fooled by fake reviews: If you spot an unknown brand being flooded with overwhelmingly positive reviews, treat it with caution. You don’t have to buy right away: If you’re holding out for one product in particular, check how much it costs now, and then compare the new price when Black Friday rolls around. A tiny saving might not be worth paying attention to. Prepare a wish list: This will prove especially useful on Black Friday when big websites will be awash with deals. For more shopping advice that will help you shop like a pro, see our top 15 shopping tips for Black Friday guide.